At the beginning of the war, citizens of the United States expressed excitement and the nation as a whole romanticized the war. Men in particular looked forward to exploring new land and going on an "adventure". At least that's how they initially viewed it, before actually being sent over. The horrors faced over seas completely shifted people's attitude on the war. It was not nearly the fantasy expected to be, and really turned citizens off to the idea of another war. For this reason, the United States tries staying out away from it for several years following. Given the topic of Cultural Change, the statistics presented in this info-graph provide information regarding the reasoning behind the mindset switch of war. During President Wilson's first term in office he tried keeping the United State's involvement in the war at bay. By his second term however, he was finally drawn to declaring United States entrance into the war when Mexico had been asked by Germany to join an alliance against us. This is when he began gathering together support for the war and composed a team of specialists to create pro-war propaganda. It was aimed make war seem desirable and think of it more as a free trip than a violent battle. 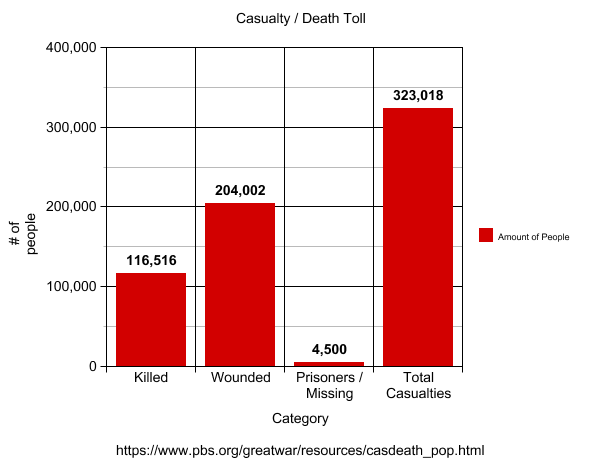 This chart shows the casualties the United States faced during World War I. The significance of these numbers in light of the anti-war movement has to do with the fact that this brought reality into the situation. What this means is that people really had disillusions about what the war was going to be like. People of the country dying or sustaining injuries or becoming prisoners of war made them wake up and recognize the truth of the fight. 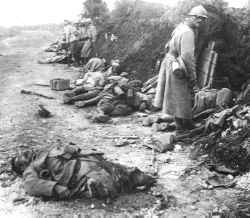 This photo shows the horrors of war, displaying soldiers who were killed during battle. 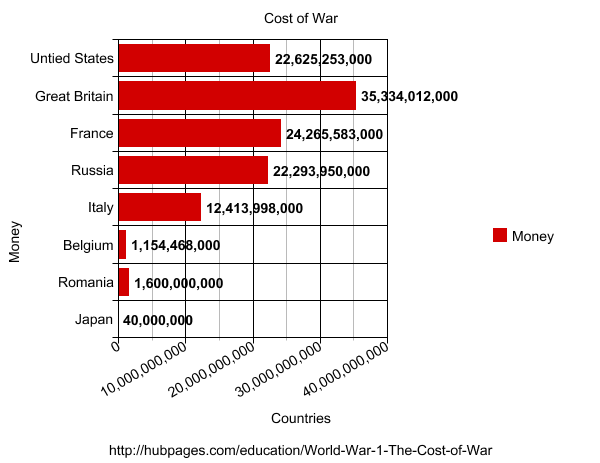 This chart demonstrates the amount of money different countries spent on the war. The reason other countries were incorporated into a project solely on the United States is because it gives some type of basis for how much we spent, as well as shows how trading partnerships may have been impacted. Based on this chart, the United States was second in most money spent on the war. This negatively impacted the nation after, resulting in a few decades of economic despair. This was another definite reason as to why the United Sates wanted to veer away from war. 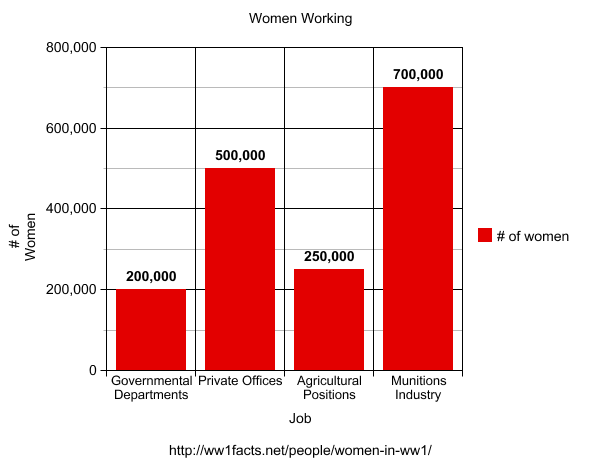 The chart shown demonstrates the positions as well as the number of women who had to take up work positions during WWI. Many women had to support themselves or their families during this time, due to many of their husbands being over seas. Not saying that women having to work is negative aspect, but the fact they were left to fend for themselves without their partner caused many people to not want war involvement there out. 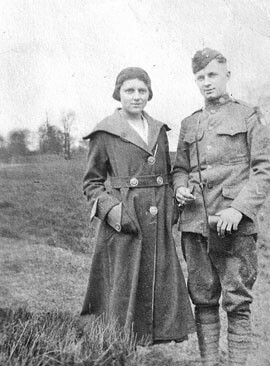 This image shows a husband and wife (high school sweethearts) during World War I. Fortunately he survived his time deployed, but she was left to take care of herself while he was gone. Personally, I feel like women were really strong during this time having been left by themselves and venturing into a world so unknown. The previous statistics each show how the United States came to an anti-war type of mind set. With all the deaths and injuries, cost and expenses, women supporting the family and men being away, people realized that war was not in any way positive. The graph above shows the amount of the population for certain ethnicities during the 1920s. 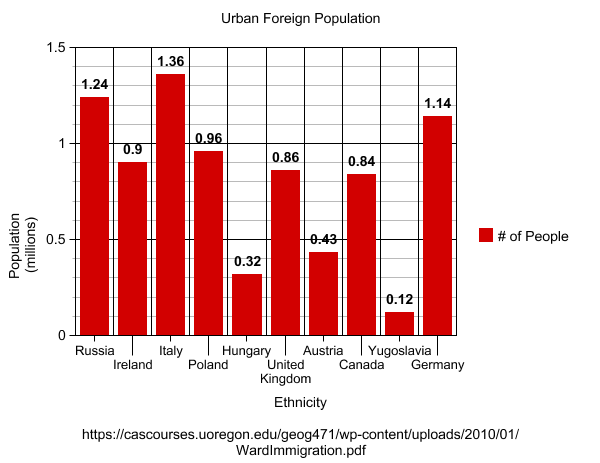 The third largest of the shown is German immigrants, which goes along with the already presented info, because it allows for insight on just how large of a portion of the populace was ostracized. As anti-war feelings and disgust toward WWI, people in the United States began feeling some angst toward German immigrants. Despite being such a significant amount of the nation's citizen composition, people summed up German-Americans to have the same ideals as Germans of Germany. In all honesty, those of the U.S. who felt displeased by WWI probably just wanted someone to blame. 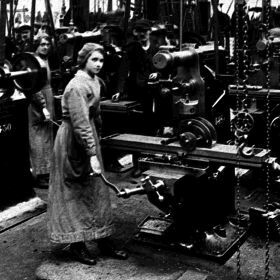 To acknowledge a lasting result from one of the negative impacts of war, was women in the workplace. This forced change of role actually ended up keeping relevance in society and continued to grow, as it still does today. 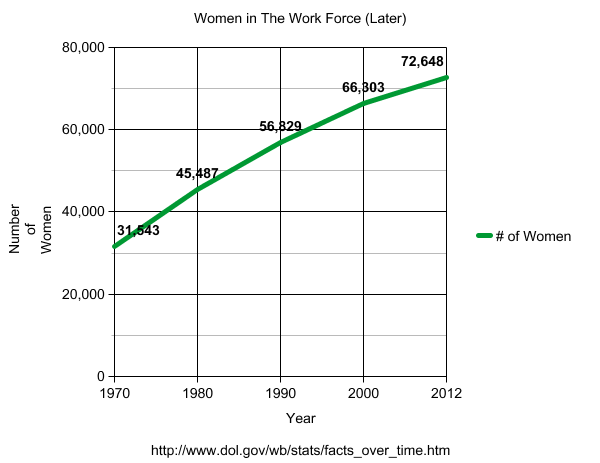 The chart shows the growth from 1970 to 2012, which grows about 40,000 in number. Overall WWI had a lasting impact on the United States, changing the the mindset of the citizens in regard to war being the main switch. Accurately supports conclusions drawn from text. Meets goals in a timely manner. Writing demonstrates complete understanding and evaluation of content in a cogent and higher level with peers. Listens to teacher directions; communicates effectively with group members and teacher. Avoids causing group's grade to suffer from your lack of communication. Edits content into clear, concise, cogent ideas. Everett, Susann. "Trenches on the Web - Timeline: 1914-1918 - Casualty Figures." Trenches on the Web - Timeline: 1914-1918 - Casualty Figures. 1980. Accessed December 18, 2015. http://www.worldwar1.com/tlcrates.htm. "Facts Over Time." Women's Bureau (WB). Accessed December 18, 2015. http://www.dol.gov/wb/stats/facts_over_time.htm. "Moment in Time Feature - Grandview ThisWeek Newspaper." Moment in Time Feature - Grandview ThisWeek Newspaper. Accessed December 18, 2015. http://www.ghmchs.org/thisweek/photo-listing14.htm. 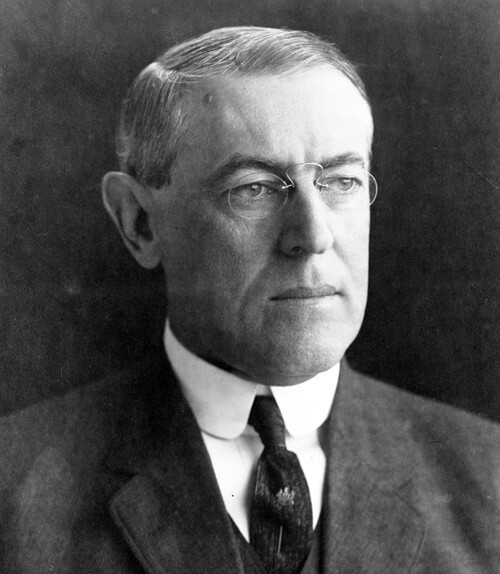 "WILSON ASKS CONGRESS TO DECLARE WAR 1917." YouTube. Accessed December 18, 2015. https://www.youtube.com/watch?v=rP_zPq7N4_c. "WWI Casualty and Death Table." PBS. Accessed December 18, 2015. https://www.pbs.org/greatwar/resources/casdeath_pop.html. "Women In WW1 | WW1 Facts." WW1 Facts. Accessed December 18, 2015. http://ww1facts.net/people/women-in-ww1/. "Woodrow Wilson." History.com. Accessed December 18, 2015. http://www.history.com/topics/us-presidents/woodrow-wilson.